Move over golf and tennis. 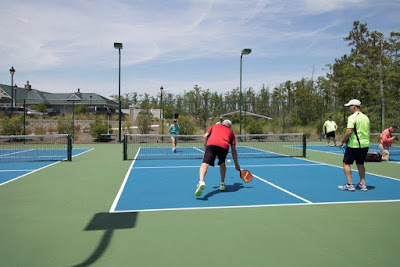 Pickleball is all the rage to keep fit while making friends at the North Carolina coastal community of Brunswick Forest. Tennis may have been the top sport amongst competitive Baby Boomers in the 70′s and 80′s. But, enter pickleball – the trendy sport that will save your knees, elbows and rotator cuffs and provide great fun, with competitive play if you want. Currently, the U.S.A. Pickleball Association (USAPA) is conservatively estimating there are over 200,000 pickleball players and 9,863 pickleball courts in North America. The USAPA also reports there is an average of 62 new places to play pickleball opening each month across the U.S. and Canada. In fact, in 2015, the seventh annual Nationals Tournament was the largest tournament in the world, with more than 700 participants competing in Casa Grande, Arizona. Brunswick Forest, a 4,500 acre master-planned community located in northern Brunswick County, just 7 miles south of downtown Wilmington. North Carolina, is no exception to embracing this rapidly rising sport. 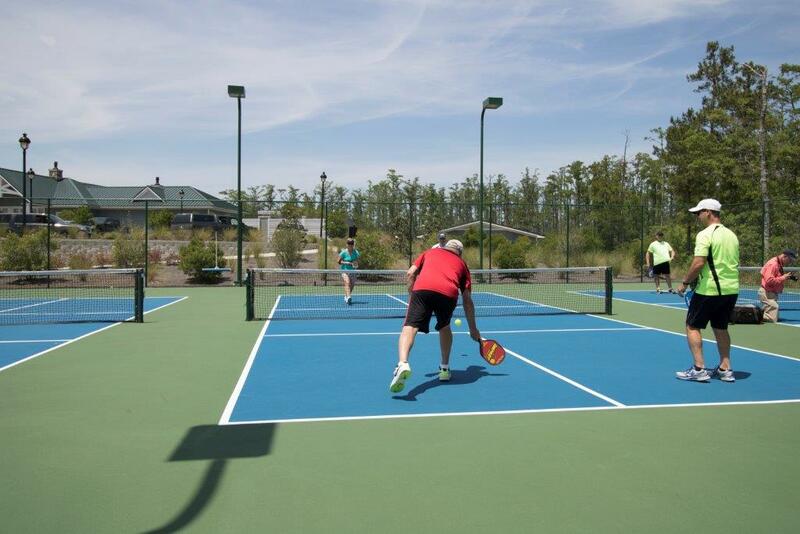 The Pickleball Club at Brunswick Forest already boasts over 400 members and plenty of organized play for all skill levels – so there is never any shortage of people to take up the paddle with you.